We’re offering you one free AML check with every case you run through Hoowla using our integrated AML checking service. 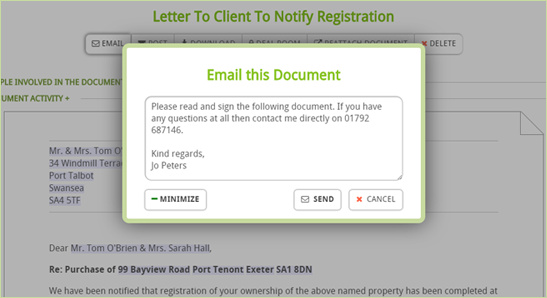 You can now include a personalised message when emailing a document, automatically address multiple clients in the same letter, include lenders and landlords in your cases and drag and drop to upload documents. All the updates are ready for you to use today. If you have any questions or feedback then please get in touch. 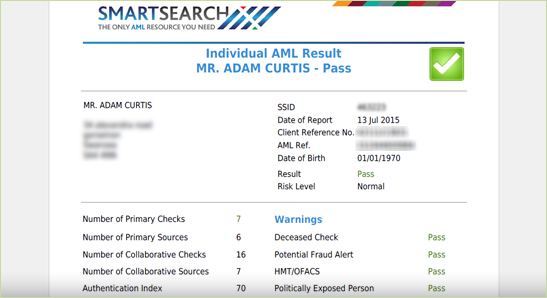 We’ve partnered with SmartSearch, specialists in the provision of Anti-Money Laundering Verification Services and Fraud Prevention Solutions, to deliver an integrated AML checking solution in Hoowla. 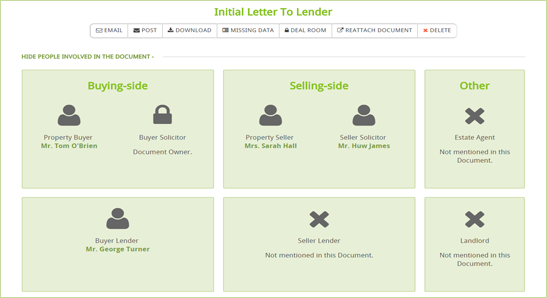 Lenders and Landlords can be recorded in people, attached to cases and their details merged into letters. 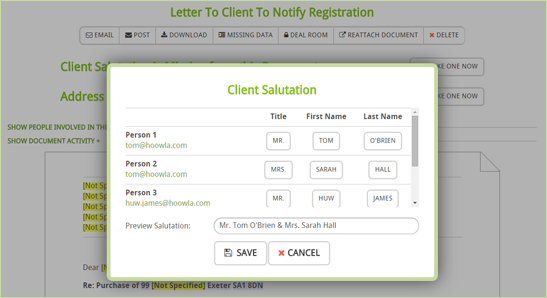 You can now easily address multiple clients in letters using our quick salutations builder. 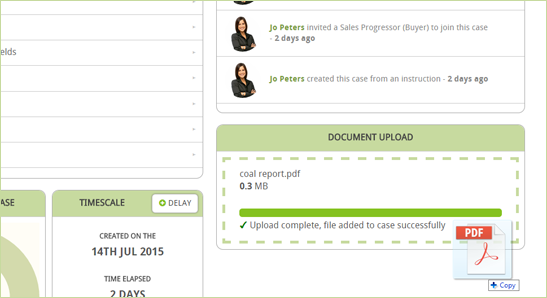 A highly requested feature, you can now drag and drop files to upload them directly to a case. Include a covering message for clients when emailing documents through Hoowla.